This protective serum delivers oxygen deep within the dermis, to promote healing and stimulate cell renewal. This formula suppresses P-bacteria, the leading cause of acne, and revitalizes skin with pure botanical oxygen. Heals and soothes skin with Allantoin. Helps to calm any irritation. Can be used after sun to calm a sunburn. Recommended for all skin types. Use 1-2 times a week, at bedtime: Apply a thin layer to face and neck.Problematic Skin: Use 2 - 3 times a week. Aqua (Water), Hamamelis Virginiana (Witch Hazel) Water, Linum Usitatissimum (Linseed) Seed Extract, Glycerin, Alcohol Denat., Hydrogen Peroxide, Prunus Amygdalus Dulcis (Sweet Almond) Fruit Extract, Althaea Officinalis (Marshmallow) Root Extract, Zinc Gluconate, Aloe Barbadensis Leaf Juice Powder, Allantoin, Fumaric Acid, Niacinamide, Acacia Gum, Citric Acid, Potassium Sorbate. This gel helps against irritations. It is moisturizing and soothing without even slightest clogging of your pores. I can't comment whether it prevents breakouts as I was using it only 2 times a week (as recommended) but I think it has some positive effect on acne-prone skin like mine. Not a dramatic results, but sometimes my skin needs a break from harsh skin care. 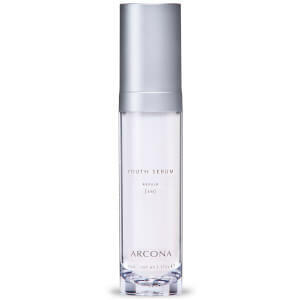 I have been a faithful Arcona user since 2007, and I use this product religiously about 2x/week. I rotate it with The Solution and The Vitamin A Complex, as it is non-irritating and allows the skin to heal and regenerate. Night Breeze is also good to control breakouts, and it leave the skin smooth and polished looking--wouldn't want to be without it! I alternate this with The Solution at nighttime and it leaves my face smooth and soft. I haven't had a breakout in almost a year...since I started using ARCONA products! I just ordered my second botttle and I love this product. It is very mild and keeps my skin in good condition. I alternate every other night with the solution which is also wonderful. I haven't had a breakout since I started using ARCONA skincare and I am happy as can be with the results! I have congested and acne prone skin. After applying this product and going to bed, my skin is so clear the next morning. Blackheads reduced, and just smooth, bright skin that feels awake. This is the fastest I have every seen a skincare product work. I alternate this with The solution, as I am a bit worried that the effect will wear off if I use it too often. But using this 2-3 times a week, its wonderful. This nighttime gel is terrific for treating my "that time of the month" occasional blemishes. My skin feels super-clean in the morning and blemishes/redness are greatly reduced. Like all ARCONA products, this one is a gem!